Big Bad Thai Bistro and Bar is a collaboration brought to life by a man named Nelly from Serbia and his beautiful fiancé Apple from the mountains of northern Thailand. 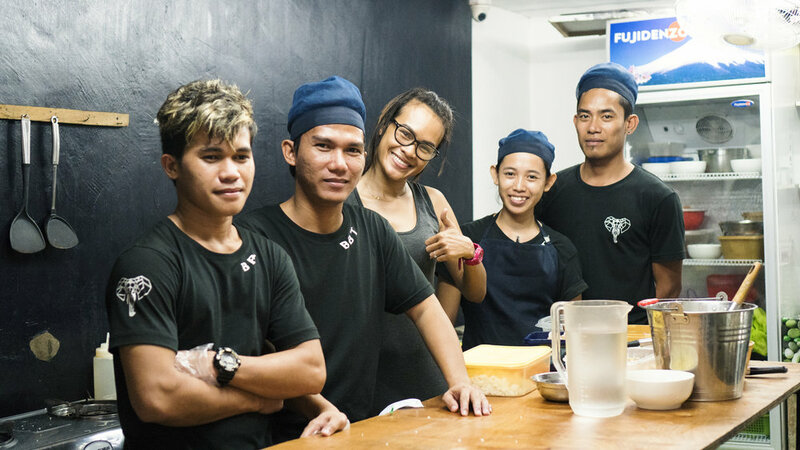 They met in Koh Phangan where the two were living at the time, and decided to bring their vision of offering authentic Thai food to the Philippines. 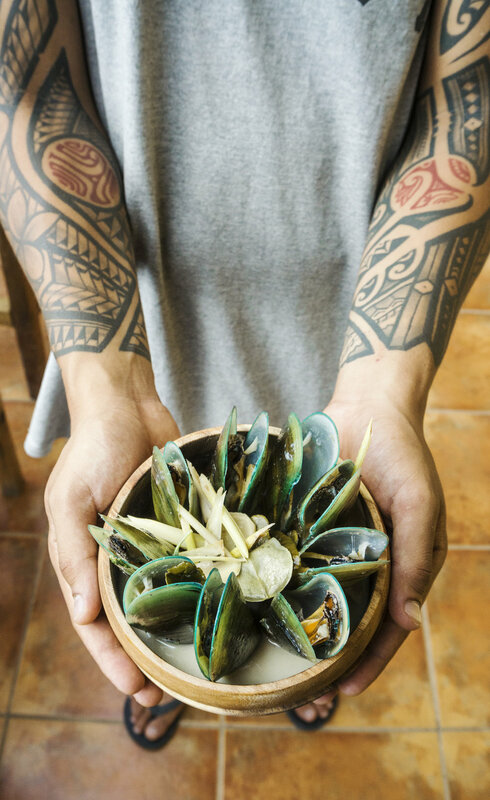 Created with a mixture of fresh, local ingredients, some even hand sourced themselves in the jungles of Palawan, and some that are sourced from Thailand to bring you the true authentic flavors, the menu is filled with all of the classic dishes you’re tastebuds have been longing for. 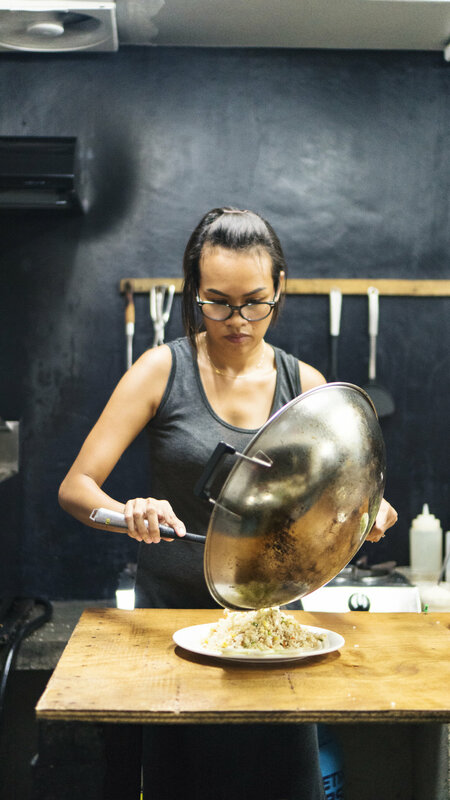 What sets this restaurant apart from the rest, is the true love for cooking that you can feel and taste that Apple infuses into every dish that comes out of her kitchen at Big Bad Thai. She told us how she found her passion for cooking at the age of 11, learning family recipes from her mother. She now graciously shares them with all of us here in El Nido. Truth be told, we cleaned every plate we had here and every dish became one of our favorites. If fish is apart of your diet, Patrick highly suggests starting your meal with an order of the mussels, cooked perfectly in a creamy, basil coconut broth. The Tom Yum Goong was his favorite soup he’s had during our three months of being on the road, filled with fresh, tender shrimp. I had many favorites myself, including the Som Tum, a sweet and spicy green papaya salad. I could truly eat this dish everyday and never tire of it. 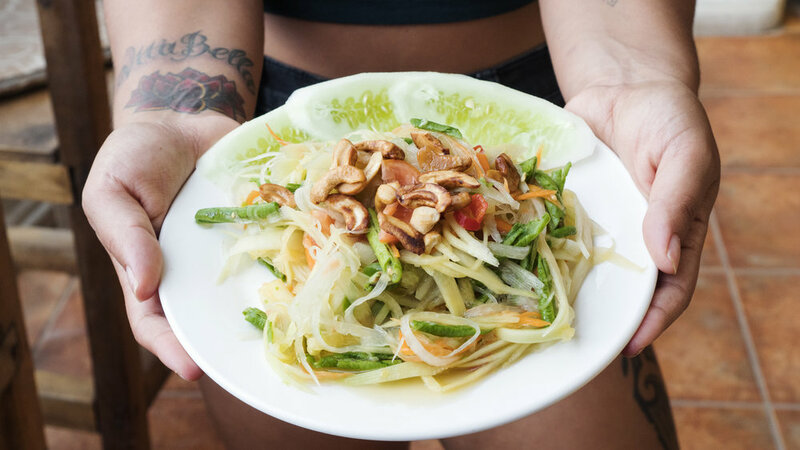 I also loved the classic Pad Thai and Thai Morning Glory, the tasty water spinach dish fried with garlic and oyster sauce, or if your vegan like myself could be substituted for a soy sauce. A hearty and healthy dish that pairs well with the garlic or ginger rice. They offer a range of different curries, and the red curry was rich and delicious, filled with veggies and tofu. We also highly suggest trying a drink from the hand crafted cocktail menu put together by Jasper, the general manager and a man passionate about creating one of a kind drinks. Some of our favorites are the Vanilla Gorilla, a concoction of white rum, banana, milk and vanilla. This drink can also be veganized by subbing for coconut milk. I also LOVED the spicy Thairita made with mango purée, silver tequila and chile pepper, the yummiest sweet and spicy combo. If you’re looking to opt for something different than the usual island inspired cocktails, Jasper created the perfect drink for you called the Lola Cola, created with cherry liquor, cola, rum and gum balls, this drink tastes just like a cherry cola. Enjoy a one of a kind meal while enjoying the gorgeous view of the ocean at Big Bad Thai. You won’t be disappointed. We want to thank Nelly, Jasper and Apple for their hospitality and we can’t wait to come again during our next visit to El Nido.